Below is the official list of the 2017 Top 45 Gymnast of the Year Nominees. We started with nearly 300 nominations several months ago, then selected 100, and from your votes and participation, here we are! I am a native Californian, living my whole life in Los Angeles near the beach. Being the middle child of 3 kids, makes me more independent and competitive at whatever I do! I love swimming and hanging out with my friends and family. My teachers say I am the sweetest, most focused student and love having me in class. I started pre-team in gymnastics when I was 4 years old and haven't looked back, even though I am still one of the smallest girls in my Level 8 Group, don't let my size deceive you! Training 20+ hours a week is fun...everyday I work harder than the last. Hi! My name is Caitlyn but everyone calls me Figs or Figgy. 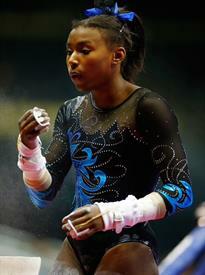 I am a Level 9 at American Twisters in Coconut Creek, Florida. 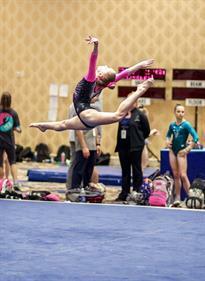 My favorite event is floor because I love to tumble. 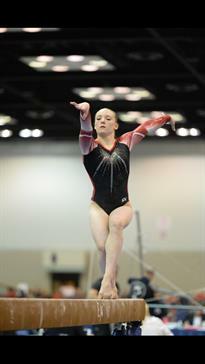 My best gymnastics memory is when I won level 8 states this year with a 38.175. 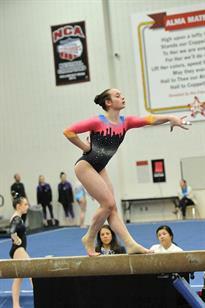 I'm also a bars and beam state champion and a regional bar champion. I love my level 9 team, they are the best teammates to train with. They make me laugh everyday and make training fun. I love gymnastics more than anything else and I was so honored to be nominated for gymnast of the year!! I am Elizabeth Gantner and I am 12 years old from Indianapolis, Indiana. I train at JPAC with my coaches, Dave Marus and Jaycie Phelps and I hope to qualify Junior Elite in 2018. After an amazing level 8 season in 2016, my coaches and I decided I would compete level 10 and try to qualify Hopes in 2017. Early in the year, I competed one meet at level 9 and achieved my elite compulsory score before competing my first level 10 meet at Metroplex in Texas. In February, I made my Hopes Optional score at the Brestyans Qualifier in Las Vegas. 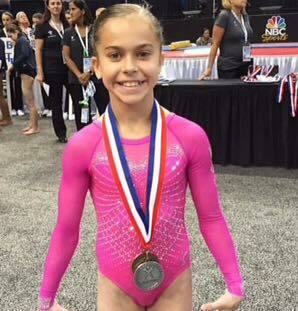 In my second ever level 10 all around meet in Orlando, I went 4 for 4 and qualified to the Nastia Liukin Cup with a 38.175. I followed that with another 38+ all around at our own JPAC Midwest Showdown. 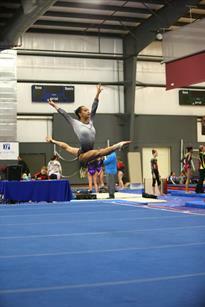 I had an amazing time at the Nastia Cup even though it wasn't my best meet. I went on to States, Regionals, and JO Nationals where I was State and Regional beam champion and finished third on beam at JO Nationals. I am thankful for all of the support from my family, my coaches and my teammates and look forward to 2018. 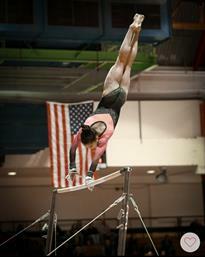 I am very thankful for Kurt Thomas Gymnastics and my coaches who saw my potential and gave me the opportunity I craved. Now I am living my dream. 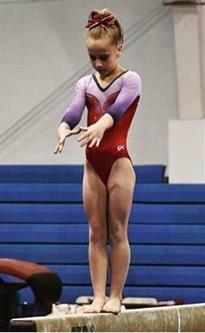 Karley McClain is a level 10 gymnast of All American Gymnastics in Lindon, Utah. Having just finished an impressive club career as a former elite and top level 10, WOGA’s Lauren Farley is now an incoming freshman at Michigan. 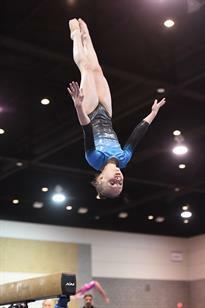 In 2017 though before heading to Ann Arbor, Farley impressed throughout the season, putting up a huge 9.9 on vault for first at the Texas Prime Meet, continuing her strong vaulting with a third place finish at the WOGA Classic and at her Texas state meet. 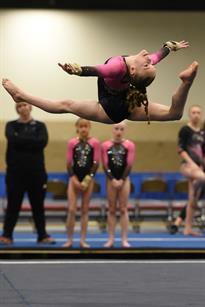 Farley also shined on the balance beam and in the all-around, taking first on beam at WOGA Classic and state and second at regionals and JO Nationals, while also finishing second all-around at state and third at JO Nationals. Farley’s best all-around score of the season was a strongly impressive 38.675, from the Dallas, Texas native. 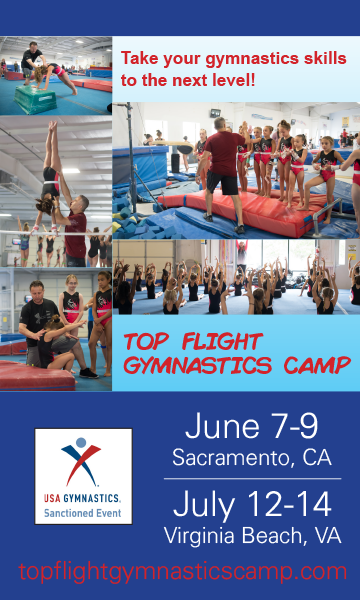 Hi I am 10yrs old and a level 10 training elite.I have 2 brothers and 5 sisters.I am so excited to be nominated for this award!I have loved gymnastics as long as I can remember. 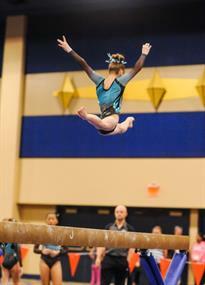 I was one of a handful of gils to win both level 7&8 regionals in region 3.This season I placed 3rd in the AA,1st on beam,2nd on floor and 4th on vault at level 9 westerns! The highlight of the meet, however,was not how I placed, but that I hit my bar routine.My oldest brother John died in December right before my level 9 season started. It was very rough and my bars suffered.John was always one of my greatest fans! He traveled to most of my meets and told everyone that I would be in the Olympics in 2024.My mom,5 sisters ,and I moved to Texas in May so that I could pursue my dream of becoming an elite gymnast.My dad and older brother still live in Oklahoma,but plan to join us next year.My dream is to be chosen for national, world and Olympic teams one day. 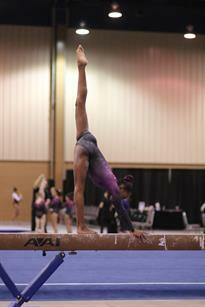 A few of my favorite skills are my Ariel lay on beam, my tkatchevs on bars, working on my double twisting lay out on vault. My name is Molly, but my nickname is Smalls. 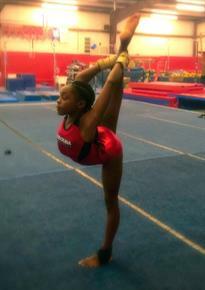 I started gymnastics when I was 8 years old. 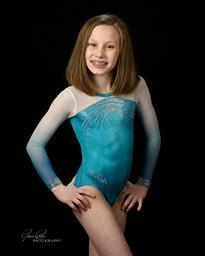 I am now 13, and I am competing Level 9/training Level 10. I train at Wallers GymJam Academy in Santa Clarita, CA with amazing coaches, who always support me and who encourage me and push me to do my best every day. 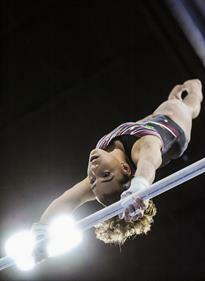 Floor is my favorite event, but I do my highest skills on beam. After a breakout 2015 season on the elite scene and a injury-ridden 2016, Nia Dennis of Legacy Elite decided to move back to Level 10, an insanely successful decision from the incoming UCLA freshman. 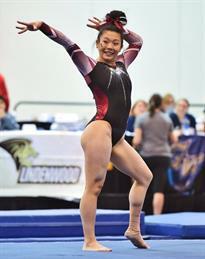 In 2017, Dennis incredibly never placed lower than second all-around at a meet, with first place all-around wins coming on six different occasions including at state, regionals, and JO Nationals, with her best overall score of the year coming at nationals as well with a huge 38.800 all-around. Dennis is from Chicago, Illinois. 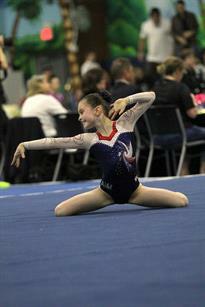 My name is Payton Bellows and I have been doing gymnastics for 17 years. I have been a level 10 for 5 years and will be attending the University of Arizona in the fall of 2017 on a full athletic scholarship. In her senior year before heading off to Stanford, Rachel Flam made it a season to remember with some very strong and consistent performances throughout the year. Flam finished atop the podium in the all-around on five separate occasions in 2017, including first all-around wins at state, regionals, and JO Nationals, a truly remarkable feat. Flam’s highest all-around score of the season came at the WOGA Classic with a staggering 39.275, one of the few gymnsts to even score over a 39 throughout the year. Flam is from Houston, Texas and is an incoming freshman at Stanford. 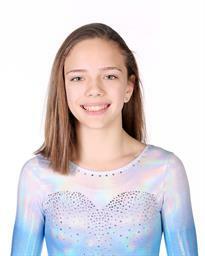 Rachel is a 13 year old Junior International Elite Gymnast and trains at WOGA.